Eyewitness: Endangered Animals takes a look at creatures around the world that are currently threatened with extinction, along with the ways that we can help them survive. 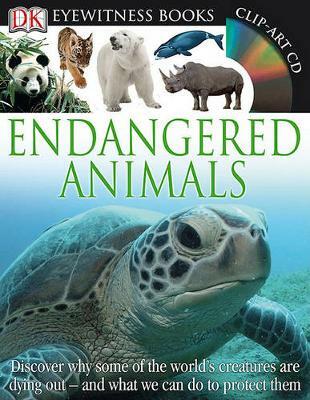 Starting with an overview of biodiversity and the web of life, the book then examines the threats facing a wide range of species, including polar bears, sea turtles, tree frogs, river dolphins, jaguars, pandas, gibbons, and the California condor. Ben Hoare is an editor and author of books on nature and natural history, including Eyewitness: Endangered Animals, Trees and Leaves, and Pond Life. A fellow of the Zoological Society of London, his work can also be seen published in BBC Wildlife and Birdlife magazines, and on several BBC websites.